Day one at any job can be scary and your first shift as a locum is no exception. As a qualified pharmacist, you are no stranger to hard work and being prepared. 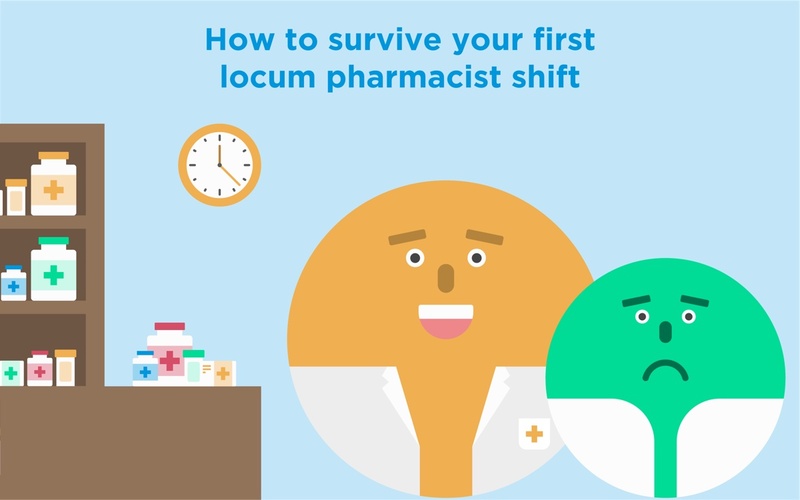 Therefore capitalise on these strengths to ace your first day as a locum. Phone ahead to introduce yourself Hopefully, your first shift isn’t as emergency cover so phone ahead to speak with the pharmacy manager. Say hello and ask what support staff will be working the same shift as you. It will reassure the pharmacy manager plus make a good impression before you even arrive. You can also check their invoicing procedure. Have your paperwork ready You’ll need to hit the ground running - or at least jogging - as soon as possible on your first day. If you have your documentation on hand, such as your DBS certificate, it will cut down on unproductive admin time. Plan your journey Make sure you know how to get to the pharmacy plus how long the journey will take. Make a practice trip if necessary. Being late is never a good idea but even less so when a business - and patients - are depending on you. Bring a packed lunch In an unfamiliar setting, it’s good to have water, snacks and lunch with you. One less thing to worry about on your first day. Introductions & Names Your team might be big or small but strive to remember at least the key staff members names and roles. This will help make the day a more pleasurable working experience. Documentation & Responsible Pharmacist Once the documentation (that you had already prepared) is out of the way, display your Responsible Pharmacist notice. It shows confidence, professionalism and authority. Sign in to the Responsible Pharmacist register. Read SOPs Get cracking on learning their procedures. Ask questions if necessary - it’s ok to not know everything but it isn’t ok to pretend that you do. Be a team player You might the one with the fancy qualifications but you are still a member of a team. If you demonstrate a willingness to get stuck in it will impress your colleagues and manager. So answer the phone, help with stock checks and serve customers. Problem-solving You will encounter challenges - awkward customers, uncooperative staff or unfamiliar procedures. Tackle each one in a calm and professional manner. All problems can be solved. Handovers & follow-ups Make sure you leave sufficient notes for the next pharmacist if you cannot handover in person. If necessary, give them a call the next day. Don’t abandon your colleagues Avoid leaving during a sudden surge of customers. Staying an extra ten minutes will help ease the pressure on staff and you will leave on a positive. Congratulations - you’ve survived your first shift.